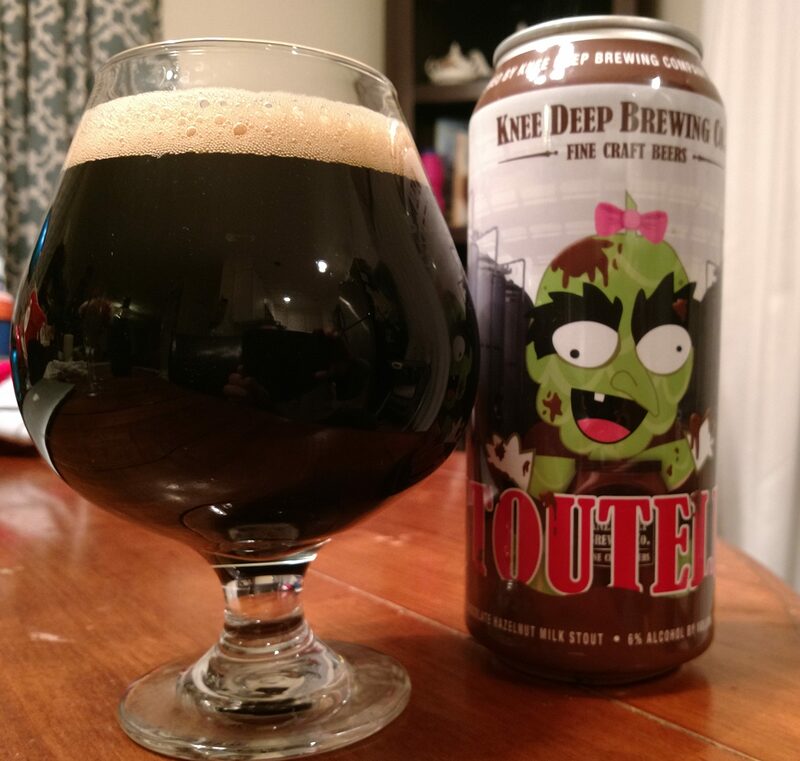 This beer came to me by way of a friend visiting for the weekend. We ended up needing to go on a beer run and this is what he grabbed. 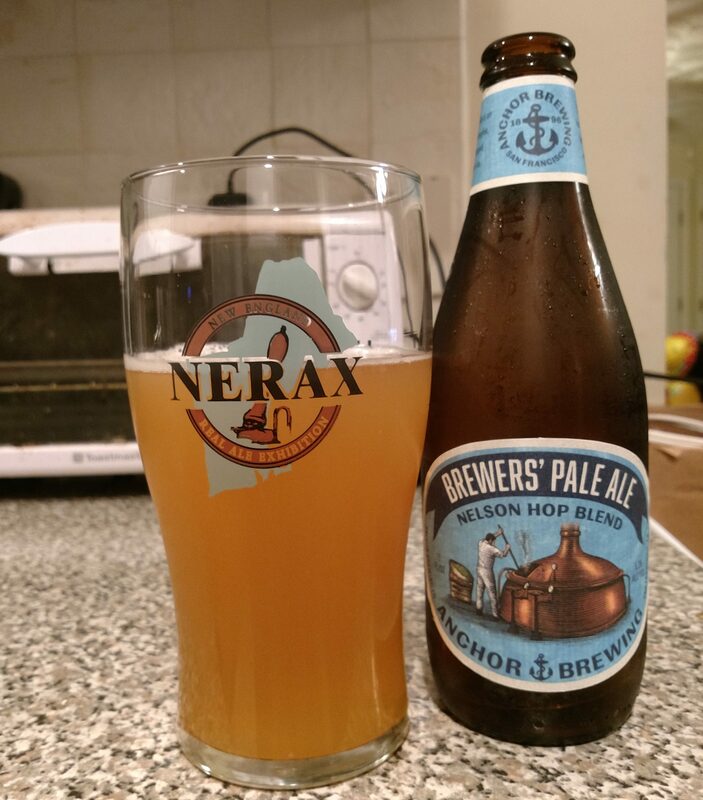 Description: A “bright and fruity” pale ale brewed to meet the discerning tastes of Anchor’s brewing team. You can find the full specs and back story here on the brewery website. Smell: Sweet, sugary malts beneath a layer of fresh pine and citrus hops. Taste: Started out with sweet light malts upfront that gave the beer an almost candy or caramel-like body. Fresh piney hops came in about midway through and stuck around as the brew came to a juicy finish featuring melon, citrus blend, and grapefruit. Very clean and fresh tasting throughout. Mouthfeel: Medium body with a moderate level of carbonation. Right on point for the style. Hype: None. Anchor is a respected, long running brewery, but they don’t really get the hype that the smaller and newer guys do. Overall: This was crazy good. Clean, fresh, and light it was the perfect choice for a warm day. I’m even going so far as to add this to my list of top five pale ales. Check it out! I’ll admit it was the name that caught my eye on this one. 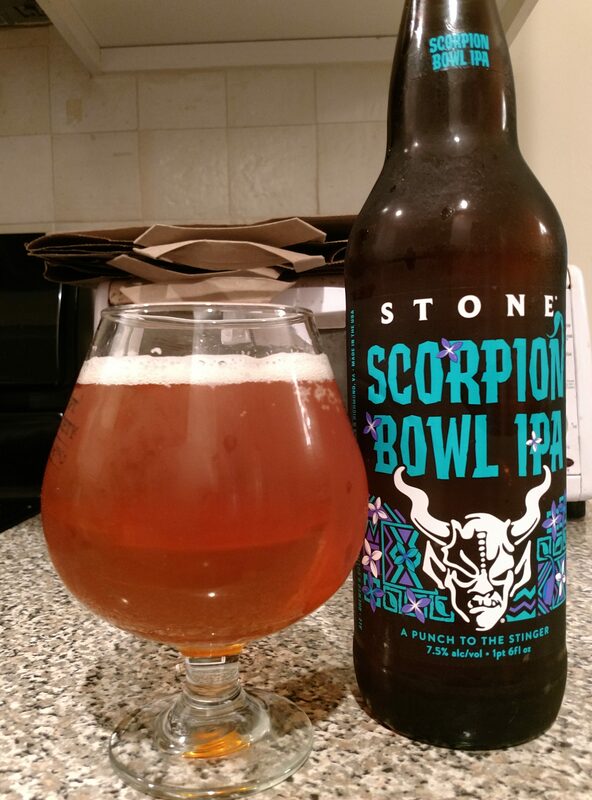 While it’s been awhile since I’ve had an actual scorpion bowl, I was intrigued to see how it would work in beer form. Description: Made to be juicy and tropical without adding any fruit, the brewers used a combination of Mosaic, Loral, and Mandarina Bavaria hops to accomplish the goal. Read all about it here. The price was most definitely right at $4.99 for the bomber. Appearance: Cloudy, just barely see through golden copper body with a wispy white head. Smell: Sticky fruit backed by piney bitterness and a sweet bit of heat. Taste: Melon and tropical fruit upfront, followed by citrus rind and pale malt. The finish was dry with a sappy pine bitterness. A warm sweetness closed out the experience after the beer sat in the glass for a bit. Hype: Being a Stone release I was aware of this beer’s existence but can’t say there was any general hype surrounding this. Overall: I wouldn’t call it anything particularly special, but I was happy with this. Not something to go out of the way for, bit still a nice pickup in that it was a solid IPA that could be had at a reasonable price. It did a passable job at representing scorpion bowls, though if you’re in the mood for one I suggest just taking the plunge and going for the real thing! One of the best things about my wife surprising me with beer, other than the obvious, is that she tends to notice stuff that I might not. She also has a pretty good track in that regard, so when I came home to find this the other day I was certainly intrigued. Description: This one has quite the story behind it! 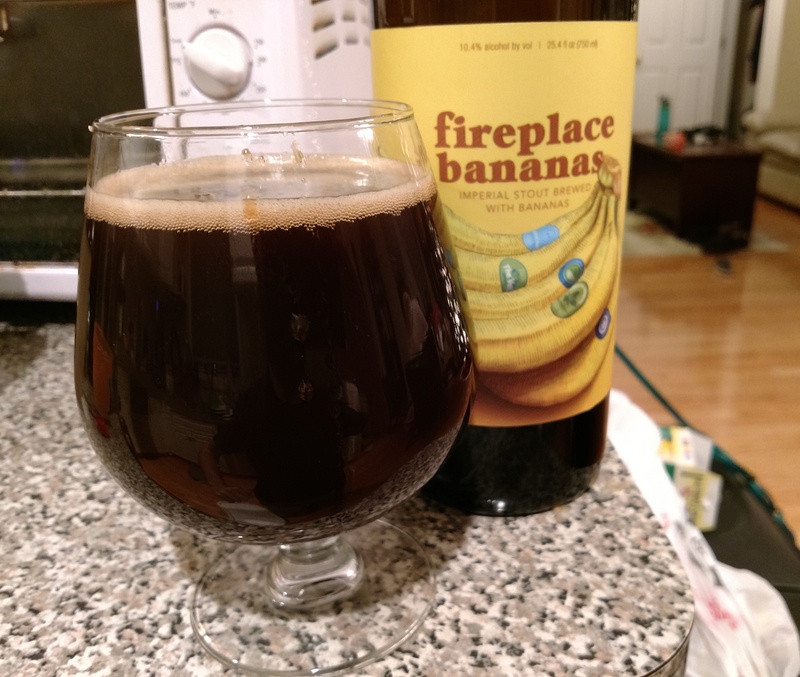 You can get the full version here, but to summarize this beer was born from the blending of various farmhouse ales, Brettanomyces, oak barrels, Galaxy and Citra hops, spices, and a whole lot of peaches. Appearance: It had a juice-like golden/pale yellow body topped by a fizzly white head. 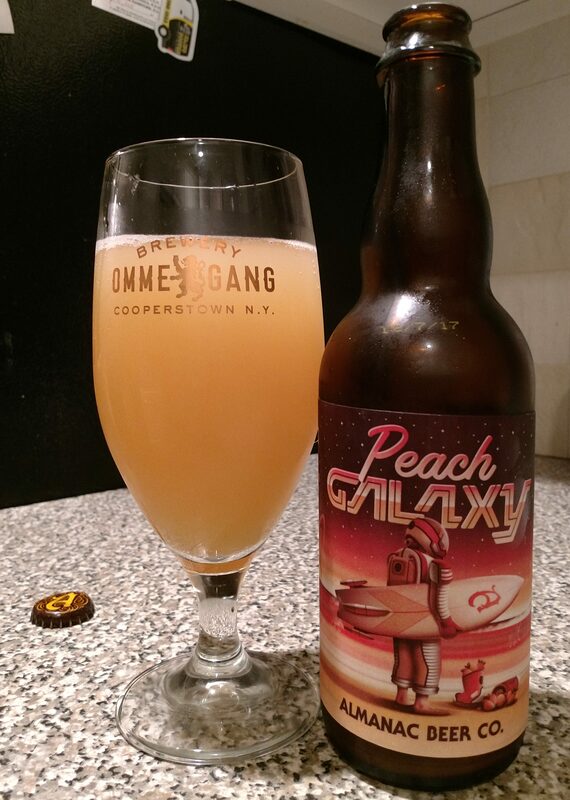 Smell: Lots of sweet, ripe peaches with a bit of funkiness towards the end. Taste: Really pronounced peach sweetness upfront with a slight fruity bitterness coming through towards the middle. The sip ended with a tart and sweet funkiness that had a moderate level of acidity. Hints of oak and subtle spices on the aftertaste after sitting in the glass for a bit. Mouthfeel: Medium body that had a slightly syrupy finish with a just below moderate level of carbonation. Hype: I am guessing none? 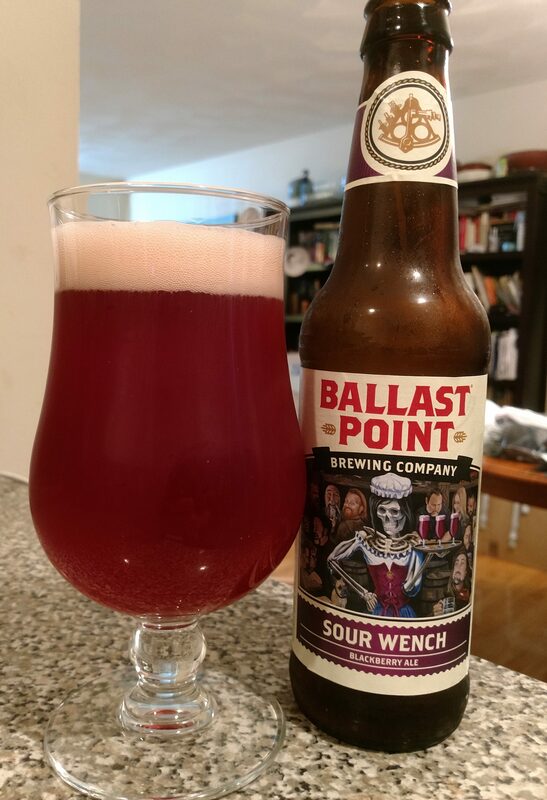 For what it’s worth I was unaware of this beer until my wife surprised me with it. Overall: I liked this a lot. 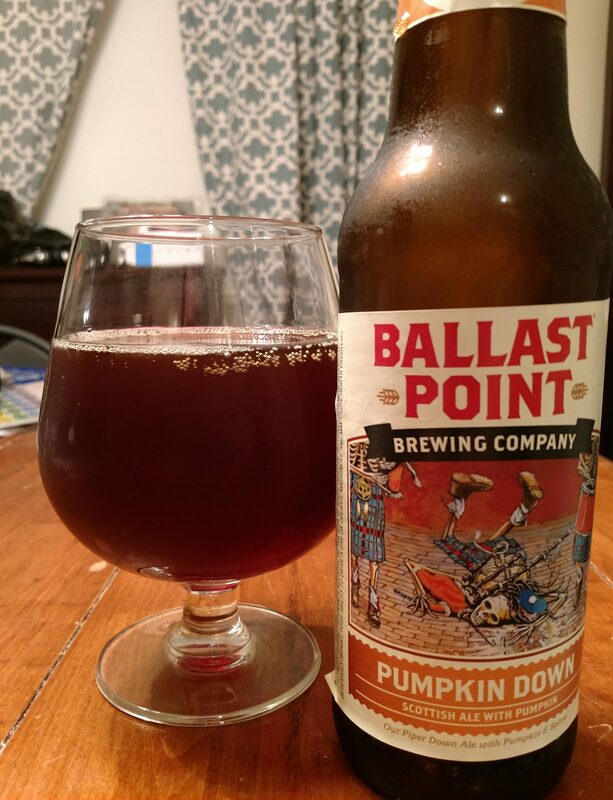 It was light and fruity (ok – peachy) despite the fairly elevated ABV and had a nice bit of funk on the finish. Might seek this one out again when the weather gets a bit nicer and I sit out on my back deck. It’s always nice when Santa leaves a beer or two under the tree. He certainly outdid himself this, though most of the offerings probably aren’t going to show up here for a little while. This one, however, had caught my eye before the Holiday began so it got to be one of the first I opened up. 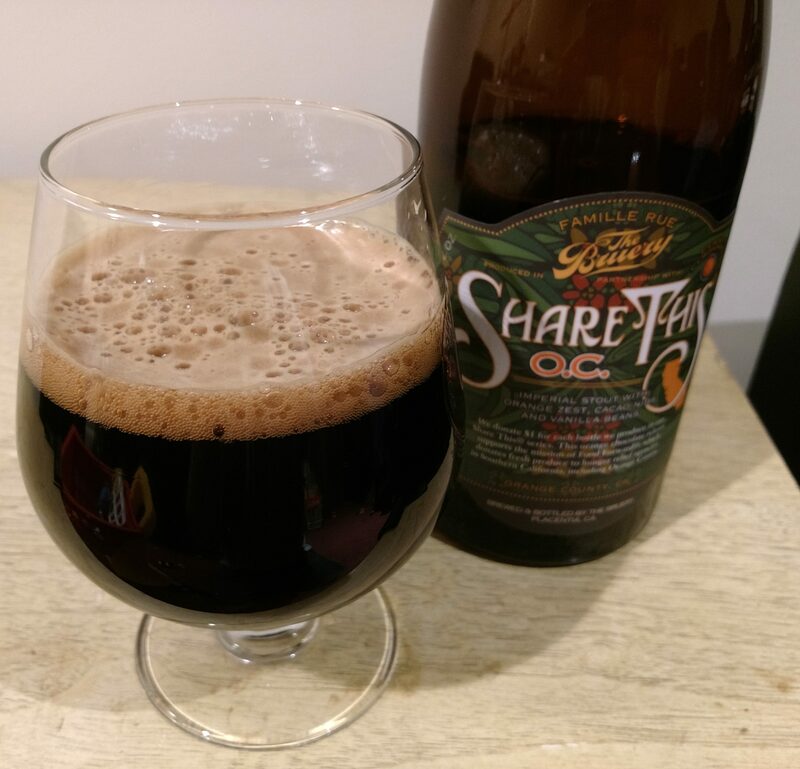 Description: Per the website, this stout was brewed with cacao nibs and lactose. Appearance: Poured the expected black body with a foamy light tan head. Taste: Started out with a mix of hazelnut and bittersweet chocolate before taking on a creamy roast coffee taste. The finish was fairly dry and dominated by a strong roasted/smoked hazelnut presence that stuck with me for a bit after the sip. Mouthfeel: Body was on the thinner side of medium and slightly slick. Minimal amount of carbonation. Hype: I wouldn’t call it hype necessarily, but I did see a lot of this beer on social media, mostly from bottle shops advertising their wares. I am guessing this was in large part due to the attention grabbing little critter on the can. Overall: This started out promising but quickly lost me pretty quickly on account of the very strong finish. Just too much hazelnut flavoring for my tastes and it blew away all the other aspects of the beer. 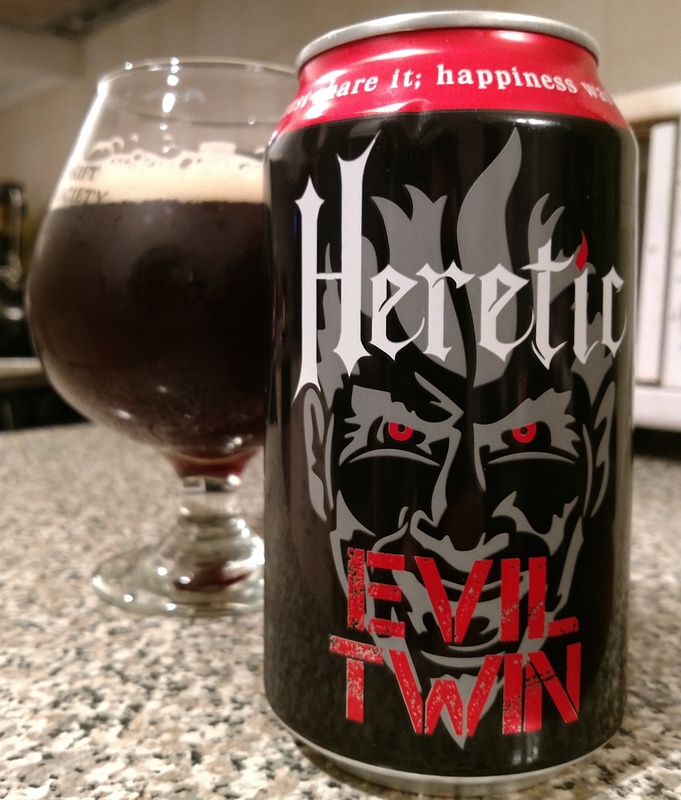 My first beer review of 2018! Seems fitting that I go with the beer i purchased specifically for drinking on New Year’s Eve. My wife and I hope to spend more time hiking this coming year, so I kind of felt like this one was calling out to me from the shelf. 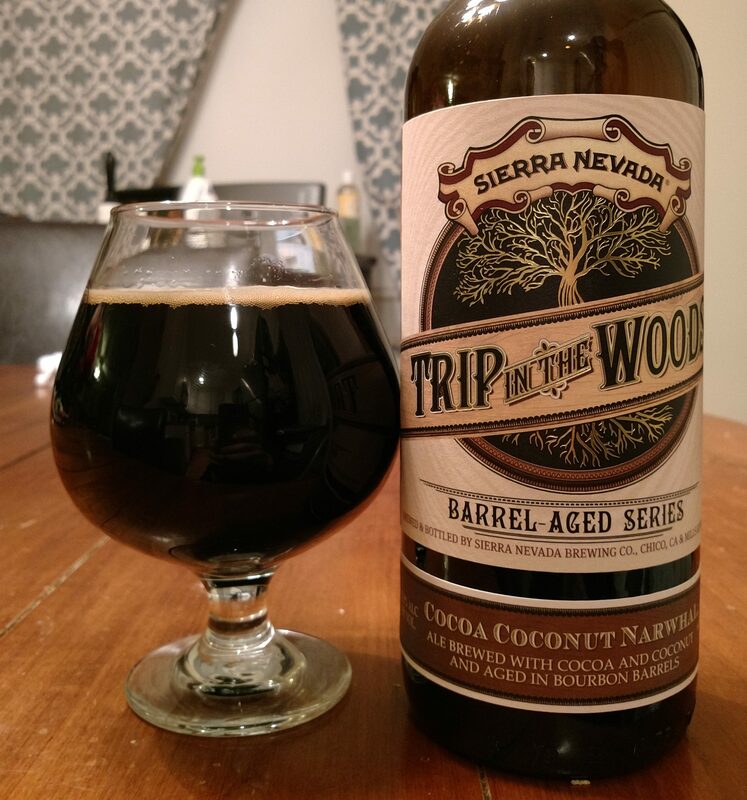 Description: Part of the Trip in the Woods series featuring barrel aged versions of some of Sierra Nevada’s favorite brews, this offering saw their Narwhal Imperial Stout aged in bourbon barrels with coconut and cocoa nibs. The 25.4 oz. bottle cost about $20. Appearance: Thick, black body that generated a thin tan head of foam with the pour. Smell: Inviting blend of chocolate, coconut, and sweet bourbon. Mouthfeel: Smooth, creamy thickness with a low-level of carbonation. Hype: I suppose no hype. Most seasoned beer enthusiasts have a personal favorite or three from Sierra Nevada’s lineup, but the brewery doesn’t usually create a big stir in the hype department. Overall: I really liked this. It happily did not go too heavy on the coconut and instead offered a nice, smooth blend of flavors that accentuated a sweet bourbon finish. The beer did come with a fairly significant price tag attached (at least in relation to the brewery’s regular offerings), but I do think it was pretty in-line with comparable releases. A very, very tasty treat.